New years bring new beginnings, and for SpaceX, that means a return to flight after a five-month dry spell. Having officially determined the cause of the infamous Falcon 9 “anomaly” at Cape Canaveral on September 1st, the rocket company is eyeing January 8th for its first launch of 2017. 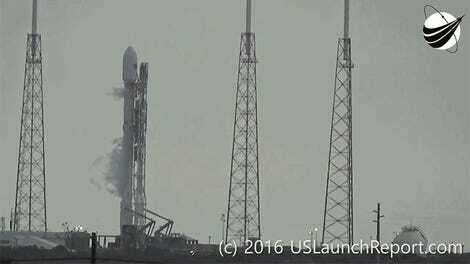 SpaceX has been grounded ever since a Falcon 9 rocket loaded with a $95 million internet satellite exploded in an epic fireball last fall, taking with it a chunk of Cape Canaveral’s Space Launch Complex 40. The company has spent months investigating the anomaly under the oversight of the Federal Aviation Administration. Today, SpaceX released the final nitty gritty details on what went wrong—and with that, it hopes to put the incident in the past. As Gizmodo previously reported, September’s Falcon 9 failure was traced to a helium tank in the rocket’s liquid oxygen second stage. Specifically, one of the second stage’s “composite overwrapped pressure vehicles” (COPVs), which are used to maintain tank pressure, seems to have failed after oxygen accumulated between an inner aluminum liner and a carbon overwrap. “When pressurized, oxygen pooled in this buckle can become trapped; in turn, breaking fibers or friction can ignite the oxygen in the overwrap, causing the COPV to fail,” SpaceX wrote on its website. Having concluded the investigation into what Elon Musk described as SpaceX’s “most difficult and complex failure” yet, the company is targeting next week for a return to flight. 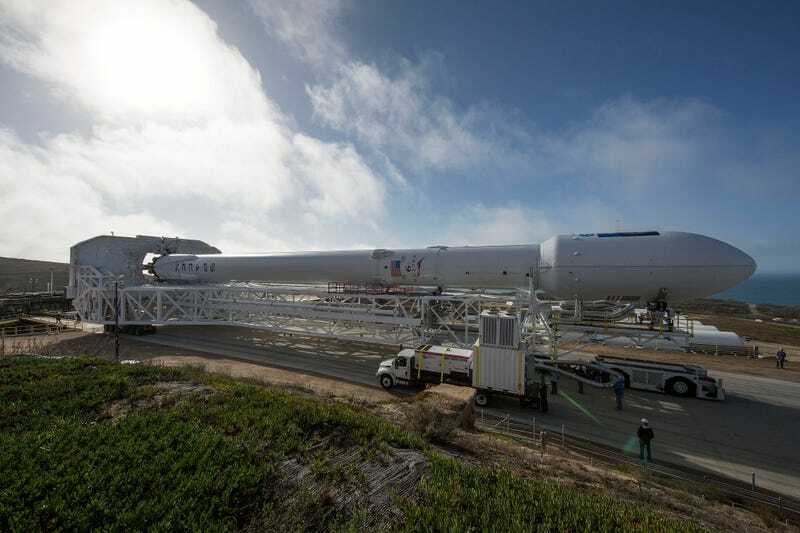 Its next launch payload, a fleet of Iridium NEXT communications satellites, is scheduled to blast off from Vandenberg Air Force Base in California on January 8th. Soon after, SpaceX is expected to begin flying from Kennedy Space Center’s historic Launch Complex 39A, the site of myriad Apollo and Space Shuttle-era launches. The launchpad, which NASA leased to SpaceX in 2014, was originally slated for crewed Falcon 9 and Falcon Heavy flights. But over the past year, SpaceX has been dropping hints that 39A may be used in the nearer term for un-crewed launches, as well. By the end of 2017, SpaceX may very well have four launch options—Kennedy, Cape Canaveral, Vandenberg, and a new site in South Texas.